heat-resisting, acid-resisting, and corrosion resisting. Just because of these characteristics, stainless steel wire cloth is extensively used in automotive, construction, petrochemical, pharmaceutical, filtration, environmental, mining, oil & gad, printing industry, waste water treatment and countless others. material, the wire diameter, the size of the mesh, width and length. 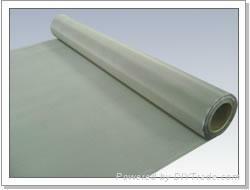 The products woven in this type is capable of very of fine filtration for gas and liquid. Provides a rectangular opening, the unique design of this mesh can assist to increase drainage and flow properties. Most of stainless steel wire cloth products can be produced in width 36”(914.4mm), 48”(1219.2mm), 60”(1524mm), and in length 100’(30.48m) . most of them can be cut to specific width and length when supplied, eliminating waste and reducing costly labor and freight expenses.